KAMAHL SANTAMARIA is a news presenter at Al Jazeera English and a journalist with 20 years experience across New Zealand, Australia, the Asia-Pacific and the Middle East. Most recently, Kamahl was the principal host of Al Jazeera's interactive newshour newsgrid. In October 2018 the programme was a nominee at the International News Emmy Awards in New York, for an edition hosted by Kamahl on the Qatar-Gulf diplomatic crisis. Kamahl moved to Qatar in late 2005 as part of the Al Jazeera English launch team. In the 13 years since he has presented hourly news bulletins, as well as the Newshour, and the panel discussion show Inside Story. He also hosted the channel's weekly business and economics programme Counting the Cost between 2009 and 2016. Kamahl has also reported for Al Jazeera from Zimbabwe, South Africa, Germany, Dubai, France, the United States, the Philippines, Switzerland, and was the electoral "number cruncher" for the U.S. presidential elections of 2008, 2012, and 2016. In late 2001 Kamahl moved to Australia, where he spent three years as Melbourne Bureau Chief for Sky Business Report with David Koch, a nightly show on the 24-hour news channel Sky News Australia. The role involved reporting, producing, studio presenting, and filming. Kamahl interviewed key figures in Australian business and economics, focusing on large Melbourne-based companies such as BHP Billiton, Rio Tinto, Telstra, ANZ Bank, National Australia Bank, and Coles Myer. Sky News Australia was originally a joint-venture network - part owned by the Seven Network - and so from his base at Seven's broadcast centre in Melbourne, Kamahl would contribute to their financial news coverage. Kamahl left Australia in August 2004. He spent time in both New York and London, before eventually moving to Doha. Aged 18, Kamahl began his career as a news and sports reporter for 3 News (now Newshub) on New Zealand's TV3 Network. By age 20 he was producing TV3's nightly national sports bulletins. Kamahl's time at TV3 culminated in a special six-month project working alongside New Zealand's entry in the Atlantic Rowing Race 2001. It involved documenting the teams' preparation, the progress of the race, and reporting from the race finish in Barbados. He also produced, edited, and hosted a 30-minute educational children's programme on the race. Whilst travelling to Barbados in November 2001, Kamahl was grounded at New York's JFK Airport after American Airlines Flight 587 crashed in Queens. 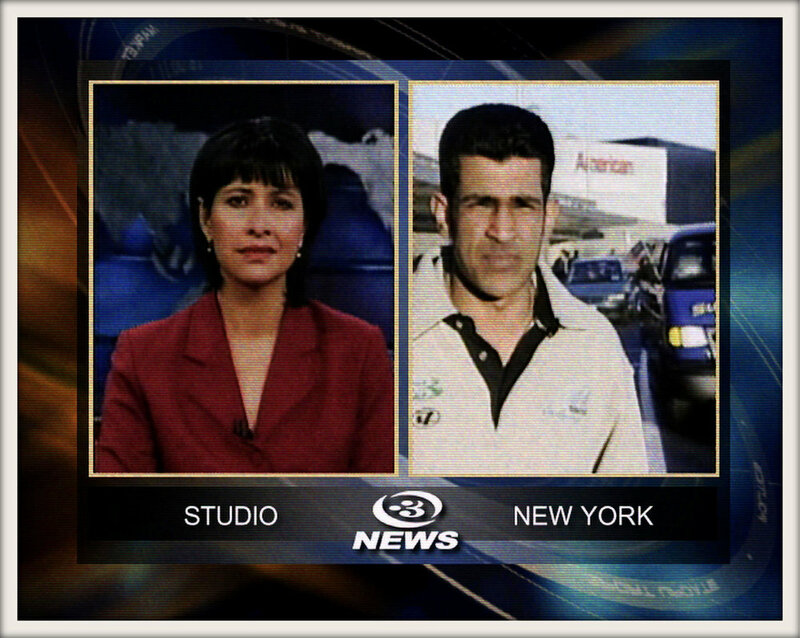 He reported from the scene that day, just two months after 9/11.